On June 14, leaders of the party committee of China National Machinery Imp. & Exp. 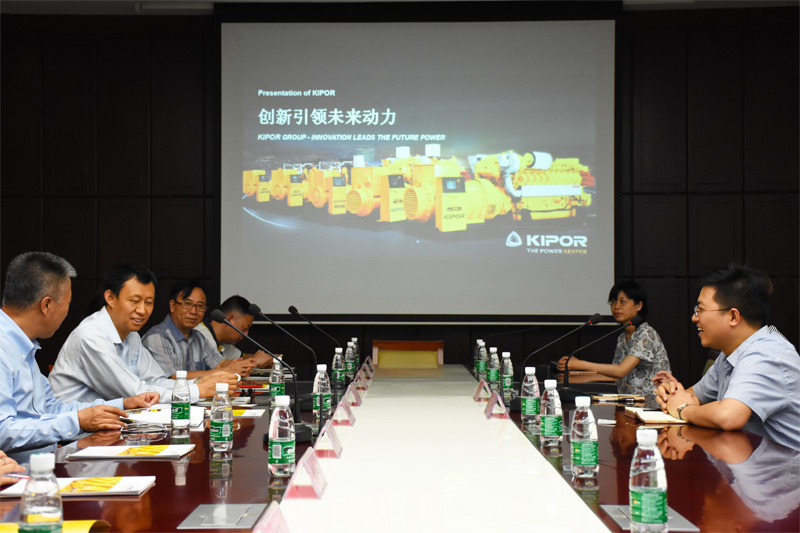 Corp. visited Wuxi KIPOR Power Co., Ltd. to jointly carry out party building exchange symposium. Secretary of the party committee and Vice Chairperson of China National Machinery Imp. & Exp. Corp. Han Xiaojun, Secretary of the discipline inspection commission and Vice President of China National Machinery Imp. & Exp. Corp. Wang Tianyi, Vice President of China National Machinery Imp. & Exp. Corp. Ai Wei, Director of the party committee working department of China National Machinery Imp. & Exp. Corp. Chen Sihao and General Manager of East China Business Division of China National Machinery Imp. & Exp. Corp. Xu Hong and others visited KIPOR. 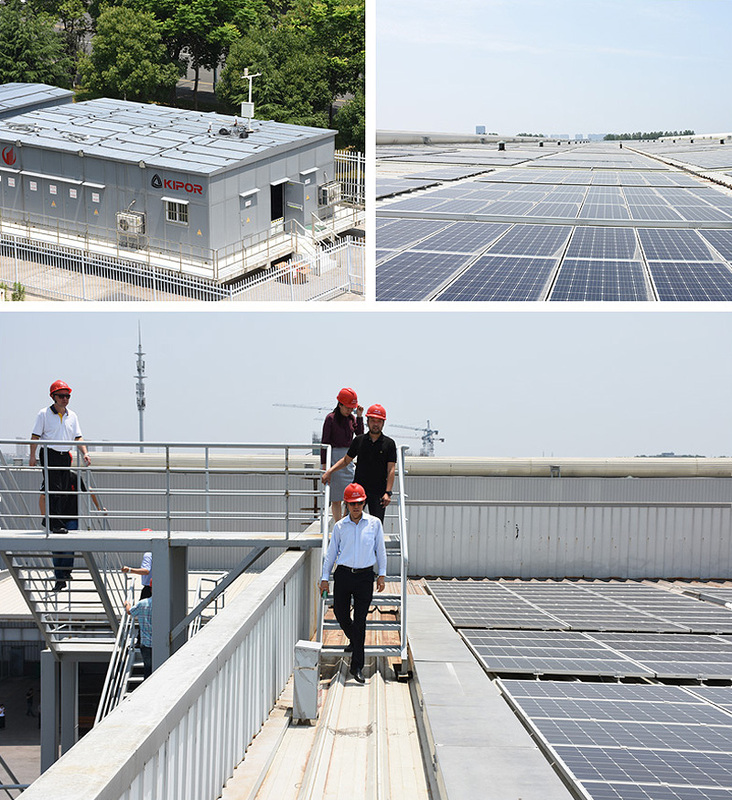 Secretary of the party committee and Vice General Manager of KIPOR Ding Shicai led the guests to visit the “12MW rooftop solar photovoltaic power station” established by the new energy company subordinate to China National Machinery Imp. & Exp. Corp. in the plant in KIPOR and checked the operation situations. At the same time, they visited factory situations and exhibition hall of the products of KIPOR. Ding Shicai introduced KIPOR’s large high speed diesel engines, gas engines, small and medium-sized power machinery and marine high power series products to the guests and communicated with all leaders on the recent news of scientific and technological innovation of the company and market situation at home and abroad in 2018. Han Xiaojun gave a good appraisal to all work made by KIPOR in the aspect of military and civilian integration and pointed out that as a strategic partner of KIPOR, China National Machinery Imp. & Exp. Corp. has relatively strong complementation with KIPOR in overseas project of “One Belt and One Road”. Both sides can exchange needed goods and propel and carry out long-term and well cooperation. At the symposium, CEO of KIPOR Xiao Dan introduced history of development and overall situation of KIPOR to all leaders. Secretary of the party committee and Vice General Manager of KIPOR Ding Shicai introduced history of development of the party committee of KIPOR and party building activity situations of “helping people with teams, catering to people with system, agglomerating people with activity and warming people with public benefit” carried out at the present stage in detail. 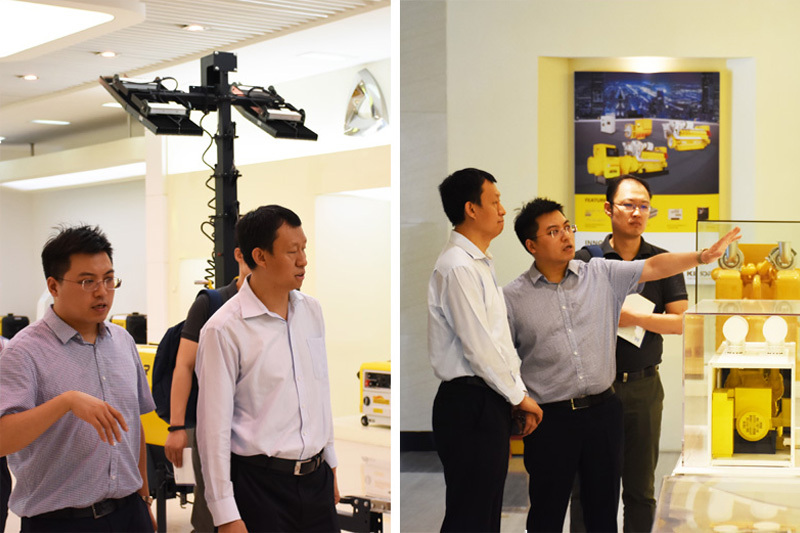 The group led by Han Xiaojun showed affirmation and compliment after visiting the party building activity room of KIPOR and fully affirmed that party building was an important driving force of enterprise development. At the same time, Han hoped to actively carry out cooperation in many aspects with KIPOR and initiate good opportunities for future development and external cooperation of the company. In the future, KIPOR will also give full play to combat fortress role of party organization and exemplary and vanguard role of party members, stabilize people, agglomerate people and guide people with sturdy and effective measures and promote strong party building and development of the enterprise.